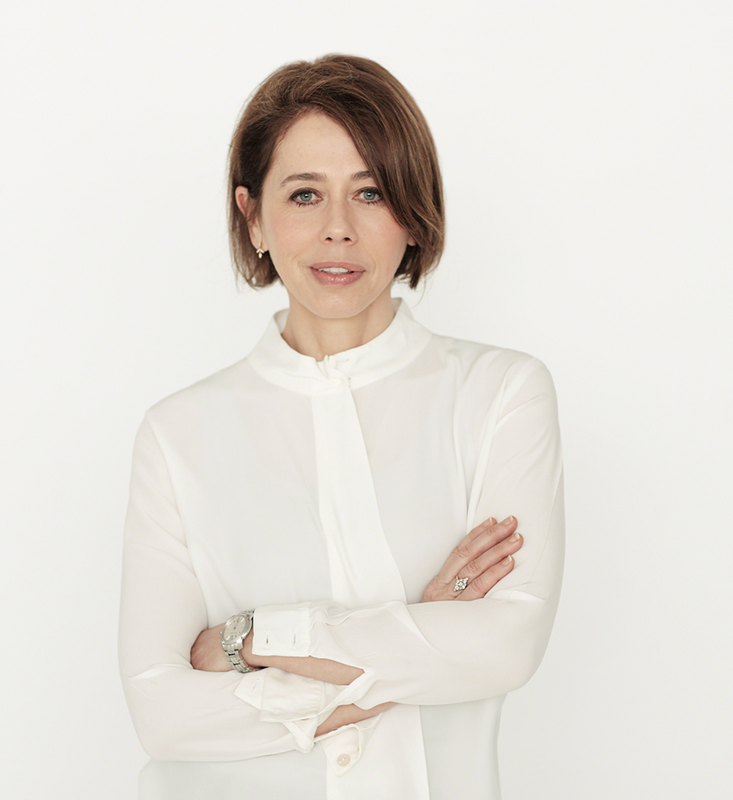 Lisa Armstrong serves as the resounding voice of reason over the London fashion realm, which she surveys from her perch as fashion director at The Daily Telegraph. So does she like what she’s seeing? The Telegraph was hit with a massive round of layoffs this past October. How were you affected? We lost a few people from the team, which was awful. I think it was a classic case of what happens at many publications—the online and print teams grew in parallel. What we’ve done is completely integrate both, so we’re all writing across all platforms. There were some really talented people who were getting stuck in the nooks and crannies of the nether regions of the magazines. Now everyone is very visible, and we’re sitting closer to each other too, so we have conversations hourly. It’s very fruitful. It really wasn’t fun after the firings, but now it’s sort of turned a corner. Jane Bruton just joined the paper. What will she add? She’s coming on as the director of lifestyle and deputy editor. And while she’s not specifically coming to fashion, she’ll bring enormous depth and verve to the features. I love the fact that someone who knows how the fashion industry works is going to have such a senior job at the paper. That’s pretty unusual. I have not heard a single bad word about Jane. Everybody thinks she’s not only a really nice person, and ballsy, but she’s good at what she does. How would you describe the Telegraph’s fashion voice? We have quite a broad voice, because we’re a big team of 12 people. We produce content across digital, the daily paper, Telegraph Magazine, The Sunday Telegraph, our Sunday magazine called Stella, the Telegraph Luxury, as well as extra fashion supplements. We joke about it because sometimes when we’re doing the Oscars or the BAFTAs, the online team will select their hits and misses and then the print team will do it, and we’re almost diametrically opposite in our choices. Does your tone change when you’re writing for print versus online? When I write for online, I try to write for someone who has quite an informed take on fashion. But when I’m writing for the news pages in the paper, I think of a very general reader; a businessman or woman who might not read fashion copy. Because I don’t come from a particularly fashion background, I’m constantly amused and perplexed by this business, and I can come at it from a reader’s point of view. I try to keep one foot in and one foot out of the fashion hole. As fashion director, what do you cover? I write several columns a week for the paper; they’re all different. One might be business led, one might be a profile on a big designer, and another one might be a serious state-of-the-fashion-nation piece. I also have a luxury column where I’m writing for people who love nothing more than a crocodile handbag that costs 30,000 pounds. But there are other pages I do for readers who are much more budget-conscious. Which London designers do you deem talented these days? I’m really keen to see how Marques’Almeida progresses. I’m also really fascinated by Christopher Kane’s evolution, because it’s new for London to have designers who can turn themselves into proper businesses. With the backing of Kering, he really could do something global. Erdem’s show is a must-see on the calendar, and I absolutely love what Simone Rocha is doing. The degree of control that some brands have. They all talk about freedom of the press and how much they love it when you’re being quite critical of another brand. But if you do it about them, they hate it, and some of them ban you. If they continue to try and suppress that, no fashion writer is going to have any credibility and the industry as a whole is going to lose credibility. Have you ever been banned from a show before? I would prefer not to disclose, because certain bans are ongoing, but I’m happy to say I’ve been banned. I think it’s a badge of honor, quite frankly. I think it would be depressing if you never got banned, because it means you were just writing press releases. Do you ever feel guilty of being critical? No, that’s my job. I’m never destructively critical, and I never make a cheap point. You have to be really aware of the blood, sweat, and tears that go into shows. How did you approach critiquing John Galliano’s debut at Maison Margiela? That was a really difficult show to cover, because it just doesn’t make sense for a newspaper to go in and start trilling about bias cutting and chiffon without putting the whole ordeal into context. It was hard because one wanted to be very fair. Looking back at the reviews that the Brits wrote, I feel that we were a bit soft on him, because we were trying so hard to be fair. What are you looking forward to seeing from the Fall collections? I’m hopeful for this year, because I feel that last season’s Winter collections were quite dull. Why does the U.S. keep importing British editors? I don’t know, but I love it, because it’s great for the British. I think it’s partly because there are a lot of Brits in positions of power, like Glenda [Bailey], Anna [Wintour], and Joanna [Coles]. There’s another journalist named Lisa Armstrong who writes about humanitarian issues. Do you ever get e-mails intended for her? I think she might even be a Pulitzer Prize winner, but it’s quite nice to have someone doing humanitarian pieces in my name. There’s also a makeup artist in the U.K. who’s married to a very famous TV presenter whose name is Lisa Armstrong. I sometimes get letters intended for her, asking for makeup advice. And years ago, when I was in New York, there was another fashion editor named Lisa Armstrong. It’s such a common name!